What was once a series of advertising related directories became an online source a few years back. Regrettably, the publishers of SRDS hasn’t figured out how to integrate all these directories into a more integrated search platform, leaving the user to trawl through each publication rather than being able to search them all at once. To me, this is unfortunate because deep within this hodgepodge of directories are details not found anywhere else. Wondering how many cooking magazines there are, how much it would cost to advertise in them, or how many subscribers there were for each? Then use SRDS Consumer Media Advertising Source. Or my favorite gem, Local Market Audience Analyst includes demographic and lifestyle information on the city/county level, so if you’ve wondered what the average person in Greensboro thinks about buying locally this would be your source. Hopefully the publisher will upgrade their search engine, but use patience, you’ll be glad you did. 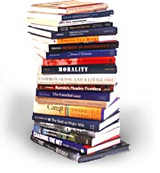 Here’s the January 2011 installment of Ford Library Director, Meg Trauner’s selections of five recent business books recommended to Fuqua Dean Blair Sheppard. Lords of strategy: the secret intellectual history of the new corporate world by Walter Kiechell III. Academics and consultants focused on ideas launch the field of business strategy and develop the framework for describing how companies achieve competitive advantage over others. The calm, focused mind of the book reader is being replaced by the new mind of the internet user who finds it difficult to pay attention and to engage in learning. Read our full review. The big short: inside the doomsday machine by Michael Lewis. Four players in the subprime mortgage market make millions by betting against the market and shorting risky mortgage deals called CDO contracts. Read our full review. The story of two troubled companies run by deeply flawed people whose failure to understand the risks they were undertaking caused their firms to founder. CEO of Zappos.com reveals how he built a dot com business, LinkExchange, which he sold to Microsoft for $265 million. His next start-up, Zappos.com, struggled to make payroll before becoming a huge success. Read our full review. “It is a little known fact that tea has more caffeine than coffee.” Pound for pound that is true, yet by the brewed cup, coffee has twice the amount of caffeine as tea. So why has this saying been floating around for 30 years? Because it is fun to debunk conventional wisdom. 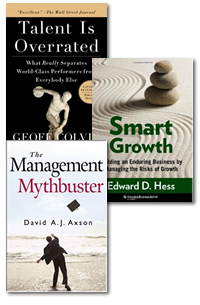 Three new books in the Ford Library challenge commonly held beliefs about business. Most people believe that those who are exceptionally talented in fields such as music, chess, sports, public speaking or leadership, have an innate ability, something that they were born with. Yet author Geoff Colvin reports that expert performance is the result of deliberate practice – intense devoted effort for many years, often with a teacher’s help. With focus and concentration over many hours, ordinary people increase their mental capacity or skill level, becoming world class. Employees and organizations can apply the principles of deliberate practice to improve performance at work. This engrossing read was rated as “essential” by Daniel Pink in Drive. Menn, Joseph. Fatal system error : the hunt for the new crime lords who are bringing down the Internet. Public Affairs, 2010. Cybercrime is serious business and the internet is more vulnerable than most people realize. A reporter for the Financial Times illustrates this important topic through a true story that reads like a crime thriller, taking the reader worldwide in this hunt for justice. The story begins with a 25 year old computer nerd from California who is hired by an internet gambling business run out of Costa Rica. An unidentified hacker is crashing the website, causing millions in lost revenues, until protection money is paid. As the story unfolds, the hackers evolve from small time thieves to an organized gang of Russian extortionists. The gambling business reveals itself as controlled by criminals, including the Mob, who are also involved with identity theft and internet fraud. As the story moves to Moscow, author Menn introduces his second colorful character, a British high-tech agent, and describes a world where top cyber criminals are protected by the Russian government. Prosecution is impossible because the governments in Russia and China are allies of organized crime for political purposes, such as stealing defense secrets of other governments and monitoring political dissidents. 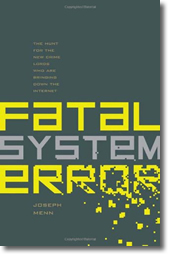 At the end of the book, Menn calls for readers to be more vigilant about security on their own hardware, by using anti-virus software that updates automatically and to guard personal information on social networks. FELIX SALMON, blogger at Reuters. Favorite book: The Big Short (our review) by Michael Lewis. The most compellingly readable of all of the finance books. “This is a man who really knows how to write in a way that most journalists just simply don’t.” Lewis, author of best sellers Liar’s Poker and Moneyball, provides insights into the housing bubble and 2008 market crash. JUSTIN FOX, editorial director of the Harvard Business Review Group. Favorite book: Winner-Take-All Politics: How Washington Made the Rich Richer–and Turned Its Back on the Middle Class, by Jacob S. Hacker and Paul Pierson. UPDATED Tue. 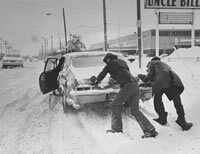 Jan. 11: Ford Library will be OPEN from 10AM until 4PM on Tuesday, January 11, 2011 due to winter weather and driving conditions. All classes have been canceled for today, and Duke University’s Severe Weather Policy is in effect. If you’ve seen the movie The Iron Giant, you know it’s about a boy and his enormous robot which is capable of doing just about anything and doing it loudly. In a nutshell, that’s how I describe Bloomberg. Where most news services are pulling back on coverage, Bloomberg is expanding. Name an esoteric market instrument and Bloomberg probably carries its data. From around the world to your town’s latest bond offering, Bloomberg covers just about everything market related, which may be why this Goliath commands an estimated third of the $16B global financial data market. Used by our finance students, Bloomberg is also popular with faculty performing research due to the system’s large data footprint and its easy-to-use Excel add-in. Initial training on the system can take no more than 20 minutes for the new user to be up and searching, or they can enroll into Bloomberg University through the system to gain more expert knowledge. An added bonus, it provides a responsive help desk via chat. There are drawbacks for the academic user. Because its software is loaded on individual computers, it can’t be accessed through the web. And though it contains an enormous data warehouse, it’s hard to say exactly what’s in there other than to dig through the search engine. Like the Iron Giant, Bloomberg is not the nimblest resource out there, but in terms of comprehensive news and financial information, it’s hard to beat.